Our brand new flagship Coal Harbour location in downtown Vancouver is open and currently looking for serving and management positions. This iconic restaurant is located next to the Olympic Cauldron in Jack Poole Plaza and has panoramic views of the North Shore mountains. 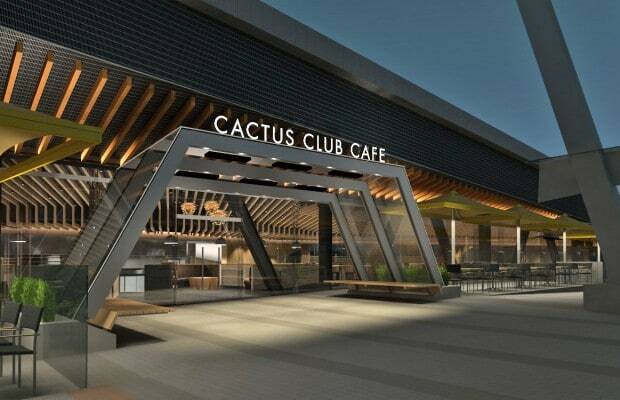 This restaurant is along Coal Harbour’s seawall and is by far the largest Cactus Club Cafe to date. You do not want to miss out on the incredible opportunity of working here. Not convinced? Check out the top 6 reasons you’ll love your job at Cactus Club Cafe Coal Harbour. Monday – Saturday from 9am-11am at Cactus Club Cafe Coal Harbour located next to the Olympic torch (1085 Canada Way).